The first and only album so far by Reflection Eternal, Train Of Thought (2000), is deemed as one of hip hop’s classic albums of the decade. 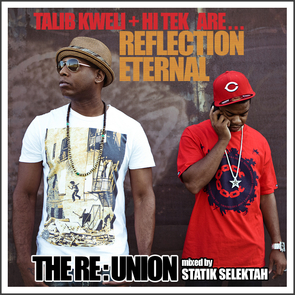 And now 10 years later, the duo of DJ Hi-Tek and MC Talib Kweli release a mixtape in preparation for their next album. Mixed by Statik Selectah, it sounds exactly how you would expect it to. Classic sample based production by Hi-Tek complimented with intricate and complex rhymes by Talib Kweli. 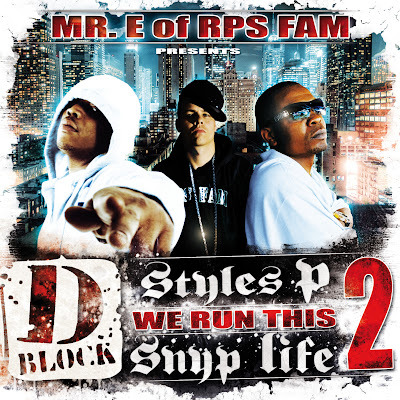 However the album also features production by Statik Selectah, Kanye West, and guest MC’s include Jay Electronica, J. Cole, Mos Def, Termanology, Royce Da 5’9, Styles P, Mr. Man, Common, Kool G Rap, Erykah Badu, Busta Rhymes, Ghostface Killah, and Nas. And all for free on New Year’s Day. What a way to start the decade! The next album, Revolutions Per Minute is set for release in March 2010.